Key Largo Dry Rocks is home to the "Christ of the Deep" statue, a nine foot bronze statue that sits in a sand channel on the offshore side of Key Largo Dry Rocks in less than 25 feet of water. Key Largo Dry Rocks is located within the boundaries of the Key Largo Existing Management Area, formerly Key Largo National Marine Sanctuary. The buoys are situated in a circle around the reef. Vessels must navigate around the outside of the buoys, as trying to cut across the SPA to buoys will result in grounding on the reef. 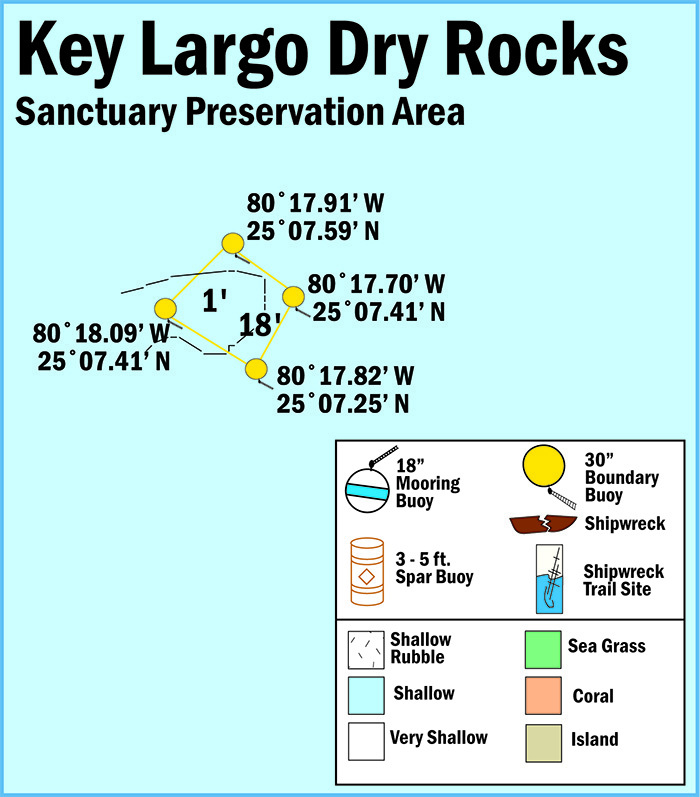 View a map showing the location of mooring buoys within Key Largo Dry Rocks Sanctuary Preservation Area.